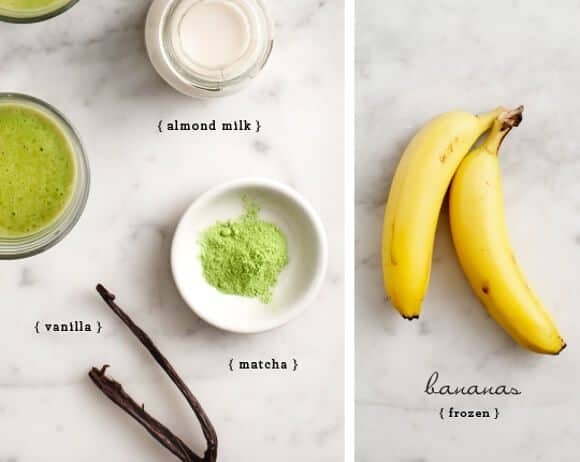 This lightly sweet matcha smoothie is made with banana, vanilla, and almond milk. It's a healthy, antioxidant-filled breakfast or great afternoon pick-me-up. Matcha treats – I can hardly remember my life without them. Since we’ve been in Japan, matcha ice cream, matcha doughnuts, and matcha cakes have become daily afternoon snacks. This matcha smoothie, I promise, is a much healthier treat than any of those. Sure matcha is healthy, but a doughnut is still a doughnut after all. At home, this is how we enjoy matcha. 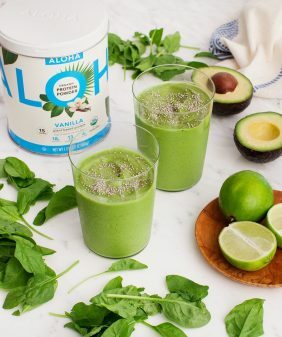 I use my go-to smoothie base – almond milk and bananas – and add matcha powder along with a bit of vanilla bean. If you’re new to matcha – it’s very finely ground, high quality, green tea powder. It’s sweeter than steeped green tea and is super healthy because all of those amazing green tea antioxidants are more concentrated. Try it in this matcha smoothie, and you’ll be hooked. For more matcha smoothie recipes, try this one with mango and this one with kale & peach! Matcha powder - a few teaspoons to a few tablespoons depending on your matcha and your taste. I used a few tablespoons of this kind. Blend everything together. Taste & adjust to your liking. Add some sweetener if you wish. The vanilla bean pod isn't completely necessary, it was just a nice addition. If you don't have one handy, just omit it rather than substitute with vanilla extract. A note about matcha – you should be able to find it at your organic grocery store (Whole Foods or similar). If not, check an asian market in your area or order it online. The cost of matcha will vary depending on the quality – more expensive matcha is more mellow, less expensive matcha has more bitterness. Some may have sugar added (the best kinds won’t). If you want to get crazy about it, search online for any type made in Uji, it’s the area of Japan where the best matcha is produced. 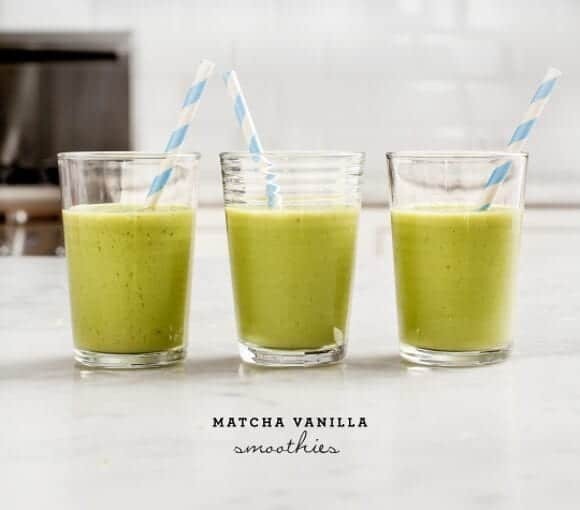 I am in love with matcha, and matcha and vanilla especially – these smoothies sound fantastic. mmm…. my favorite tea house serves these, though they are usually not vegan. the last time I was there they ran out of milk and ask if I would “mind” if they used almond milk… mind? are you crazy? gimme!!!! Loving this flavour! I like how you used frozen bananas instead of ice, creamy texture with out the cream! Green tea is my most requested creamy drink flavour and now I can make it home, Thanks for the recipe! I used some ice too :). But the frozen banana really helps it become creamy! I love matcha. 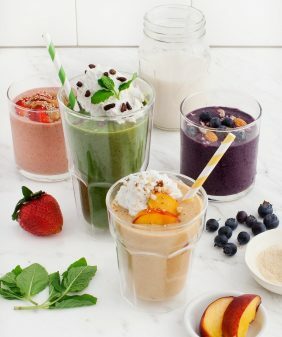 These smoothies are right up my alley. I know what I’m making tomorrow morning! I will have to try this. I’m not usually a fan of matcha green tea, although I like the ice cream, so I think this cold drink will be great. Hi Dixya, I haven’t but that sounds amazing! I love smoothies for busy days and this looks completely delicious! I use my matcha in phases – time to bust it out! I can imagine it taking amazing with vanilla. Yum! I just made this. I use an unsweetened matcha from Whole Foods for my morning matcha lattes, and it’s much stronger than the stuff that’s made for lattes (this stuff is supposed to be had just with water, but I’m not a purist). If anyone is using matcha like that, you’ll probably only need a couple teaspoons! In your next visit to Japan, try this “Tokusen Tsujiri Parfait”. It’s a assort of various forms of Powdered-Green-Tea-Sweet. A few branch in Kyoto and one in Tokyo. 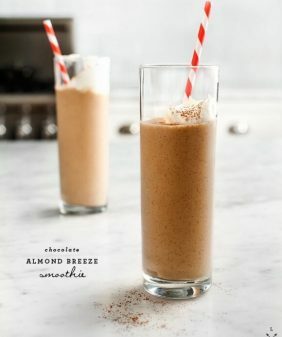 What do you recommend using as a substitute for almond milk? Most dairy free milks have carrageenan as an ingredient. I’m lactose intolerant. Tried this today. Substituted coconut milk for almond milk as that’s what I had on hand (snowed in at the moment thanks to Juno) & it was great! Didn’t add sweetener of any kind either. Thanks for sharing! Rgis sounds delicious, although I don’t like bananas 🙁 does it taste strongly of banana? Is there a substitute you reccomend? Also, what about vanilla almond milk? Sometimes I sub mango for banana, or sometimes almonds or cashews… (you’ll have to play around with the ratio). I thought I was the only one that did not like the taste of bananas! Have you tried avocado? I think I will. I also love adding a few tablespoons of hemp seeds or a scoop of almond butter for creaminess without a banana. I am in love with you guys loving matcha! 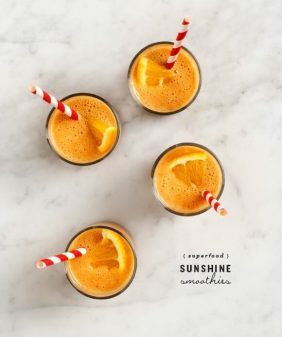 Growing up with the lovely powder made my heart leap when I saw this smoothie recipe because all I’ve ever known was the tea and ice cream version. Plus this is super healthy. This sounds like a great idea! 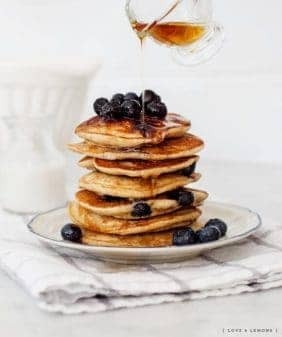 Do you think this would keep overnight so that I could make this as my breakfast the night before? Or even two nights so that I could make two breakfasts at once? Thanks for the recipe! yum this looks great! I just got a bag of matcha green tea powder so I can’t wait to try some recipes out! Thanks for sharing! I’m just starting with Matcha and I’m in loveeee! 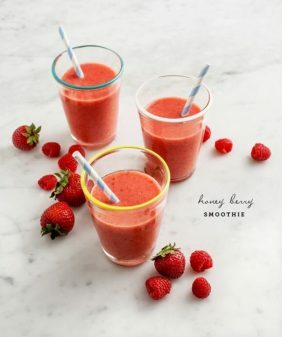 This smoothie is perfect, so rich and creamy and fresh! I added a couple of tsp of Chia and yum! Just decided to try this on a whim as a pick me up for my boring afternoon of studying stats and i have to say….IT WAS DELICIOUS! I added a pinch of lavender flowers in it as well and i think its my new favourite smoothie! hello.. thank you for you recipe.